Did you know that berries are some of the richest sources of antioxidants and Vitamins like Vitamin C and the whole Vitamin B complex? Not only that, but they are very rich in soluble dietary fibers, which help keep the digestive system strong. It has been seen that eating berries regularly can help your body fight against chronic conditions in the long run. In the vein of the immeasurable nutritional values brought on by berries, we bring you, perhaps, the simplest recipe for a quick and hassle free berry smoothie. Although we have mentioned frozen berries, we suggest that you use fresh berries as much as possible as they are more organic and compared to their frozen counterpart, have more nutritious values. There is basically just one step to making this smoothie. Just blitz all of the ingredients together in the blender until there are no hard clumps of ice left. When it is done, pour it out into a glass and serve with a topping of few handfuls of fresh berries. 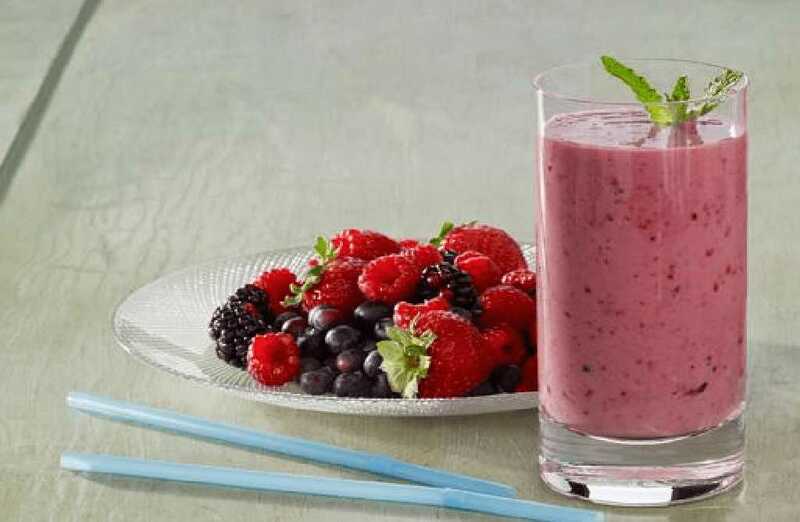 You can use any kind of berry when it comes to making this smoothie – strawberries, blueberries, raspberries and so on. But for a more nutritious and filling smoothie, we suggest that instead of one kind of berries, you take a mixture of all berries equally. For best results, you can always have this smoothie for breakfast, as well as in between meals when you are feeling slightly pekish, as it has next to no fat and very low sodium. What is your favorite summer drink? Leave us a comment in the section below and let us know. Also, did you know that you can sign up with us in order to get more recipes as well as share some of your own? Hurry up! Until then, happy cooking!